We’re proud to have been a part of the Alexandria community for 14 years. 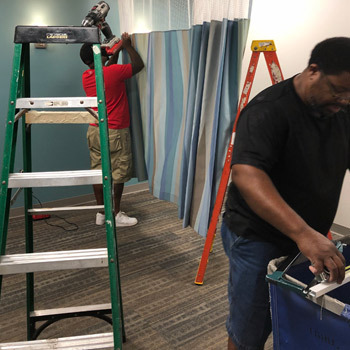 As time has passed, we’ve changed locations to suit our patients’ needs better. As some of you may remember, we started out at 1217 Prince Street. For the last 10 years, we’ve been located at 900 Prince Street. With our continued growth, it became evident that we needed more spacious premises that would better accommodate our patients, their families and our practitioners. It’s official: we’re moving again! We’ll still be on Prince Street, just a few blocks away from our current location. As of August 1, our address is 1414 Prince Street. Our gorgeous, custom-built new facility will feature eight treatment rooms, a separate suite for therapy and a playroom for your kids, making it the ultimate destination for natural family health care. Parking can often be an issue in Old Town. We’ve taken care of that problem by having a client-only parking area right next to our building, with ample spaces nearby. We’ll be just six blocks from the Metrorail and the U.S. Patent and Trademark Office, making us an easy stop during your workday. With a short distance from Route 1 and the GW Parkway, you don’t have to worry about traffic congestion, either. 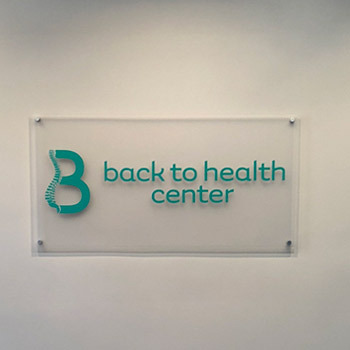 We’re excited to welcome you and your family to Back to Health Center! 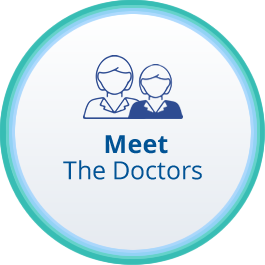 Contact our team today to schedule an appointment for one of our many natural health solutions.